Trsteno is a small settlement north-west of Dubrovnik. Distance to Dubrovnik is only 24 kilometres (15 miles). 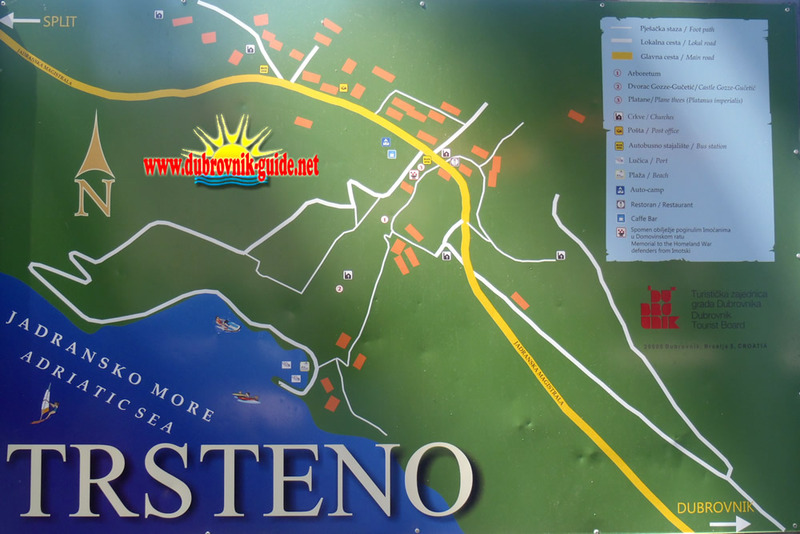 Trsteno is an old fishermen's village with a long tradition in seafaring hence it is no wonder that this settlement hosts one of the oldest and most beautiful Arboretums in the whole region. The first thing you notice when you come to Trsteno are the two huge Asian plane-trees beside the main road who have been part of Dubrovnik history for already 500 years. For years now, the elementary schools make day trips to Trsteno to show the children the Arboretum and these magnificent trees in a tree-hugging demonstration. It almost takes a whole class to encircle the three! Renaissance summer residence of Gučetić-Gozze family from the 15th century, with the encompassing garden, aqueduct, mill, the beautiful fountain with the Sea- God Neptune and nymphs, the belvedere pavilion overlooking the sea and the Elaphite islands is the finest example of Gothic-Renaissance Dubrovnik summer residences with developed garden architecture. The summer residence is what is now known as Arboretum Trsteno and can be found a short stroll down from the main road. 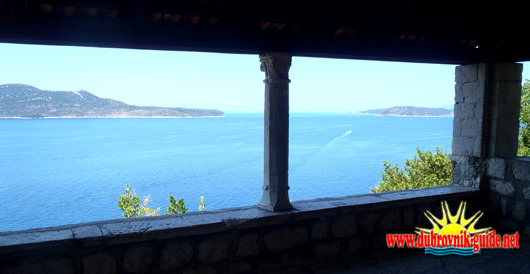 More than 200 summer residences of the noble Dubrovnik families have been built on the territory what was once a Dubrovnik Republic. However, this summer residence of the Gučetić-Gozze family developed into something special, in part thankfully to Trsteno's seafaring tradition as the seaman would bring back home from their world voyages many exotic plants, brushes, and trees to plant in the gardens of the summer residence. Arboretum Trsteno covers an area of about 25 hectares. It includes a Gothic-Renaissance park surrounding the ancient summer residence, which is a monument of garden architecture, and the nineteenth-century neoromantic park. The Arboretum is a protected area managed by the Croatian Academy of Sciences and Arts since 1950. In 1962 the Summer residence and the gardens have been declared a monument of garden architecture and a collection of decorative trees and bushes. The Arboretum collection of exotic and decorative trees and shrubs includes over 300 species! An unfortunate event happened in 1991, in the Croatian homeland war, when the Serbo-Yugoslav army launched a series of gunboat and air attacks on the Arboretum hence setting it ablaze. A large part of the Arboretum has been destroyed. Fortunately, the summer residence and the oldest part of the Arboretum were only partially damaged. 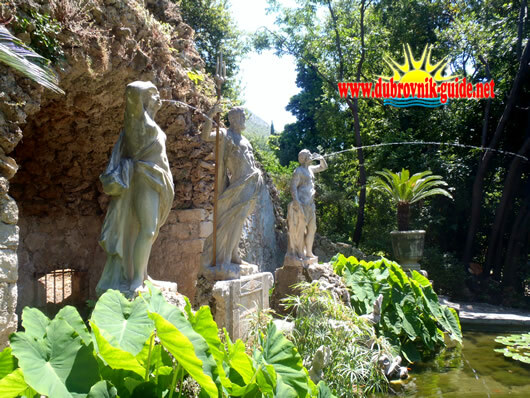 Today the Arboretum in Trsteno is open for visitors and is used for cultural and historic purposes as a garden architectonic monument of past centuries and a collection of decorative trees and bushes, and also for scientific, educational, tourism, and recreational purposes. Visit to the Arboretum in Trsteno is an unforgettable experience. It is a highly recommended Dubrovnik excursion, especially for people who enjoy the green lush nature and beautiful sea-views. The cool shade of the park is the perfect refreshment in those hot summer days while the fresh air is a balm that sooths all the senses. The Arboretum is perfect for walks, running around playing catch, sun bathing, reading books, enjoying the calm, and simple sightseeing. The Neptune fountain with the ancient aqueducts is a magnificent work of art. The old mill gives insight in the way how the old mills operated and the summer residence usually holds a photography display. Do not hesitate to contact us for any custom based tours or excursions in Dubrovnik Region and beyond. We adapt our tours to perfectly suit your needs and interests!